The Peoples’ Democratic Party (PDP) has said the continuous detention of its party stalwart, Chief Femi Fani-Kayode by the Economic and Financial Crimes Commission (EFCC) without giving him access to his medication is a violation of his constitutional rights to health and life. This was contained in a statement signed by the National Publicity Secretary of the party, Prince Dayo Adeyeye and posted on its official Twitter handle: @OfficialPDPNig on Tuesday. 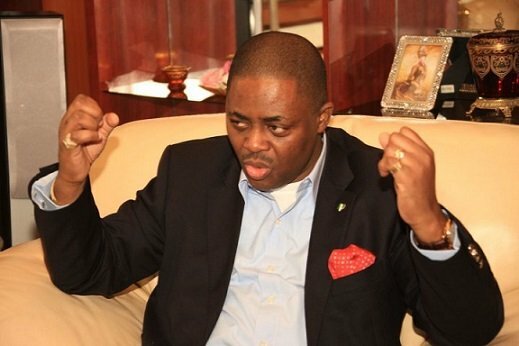 “It is common knowledge that in furtherance of its campaign of attrition against members of the Peoples’ Democratic Party (PDP) in the guise of an anti-corruption war, Chief Femi Fani-Kayode, former Spokesperson for the PDP Presidential Campaign Organization (PDPPCP) was arrested in the premises of the Federal High Court, Lagos. “His re-arrest is the latest in a series of plans designed to further harass and intimidate our members and supporters using the security and intelligence apparatus of the Nigerian State. “A few days before his arrest his wife, Precious Chikwendu and their 8 month old son, Aragorn, were arrested and would have been detained but for the timely intervention of Governor Ayo Fayose of Ekiti State. 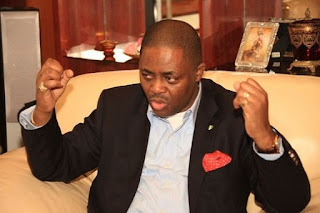 “What is not common knowledge is that at the time of his arrest, Chief Fani-Kayode was ill and taking medication. Since his arrest, he has been denied access to his medication and medical doctors who are conversant with his medical history. “As at the time of writing this statement, officials of the Economic and Financial Crimes Commission (EFCC) have continued to deny Chief Fani-Kayode access to his medication. “The only conclusion that can be reached is that the APC-led Federal Government and EFCC want Chief Fani-Kayode to die in EFCC detention. In the light of the prevailing circumstances where EFCC are detaining an obviously weak and ill man, this is an inescapable conclusion. “These continuous violations of the constitutional rights and freedoms of the Nigerian people by the Buhari Administration must stop. The Federal Government cannot, and must not, be allowed to continually infringe on the rights of the very people it swore to uphold.